Johnson Controls will soon announce the availability of the LUX KONOzw Smart Hub Thermostat through its DSC channel. This is the first KONO thermostat featuring Z-Wave technology. 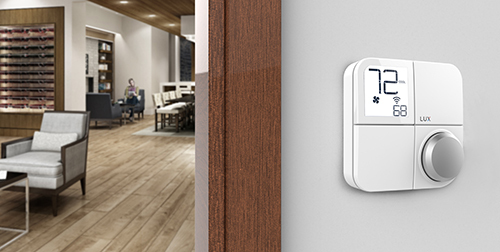 KONOzw allows users to seamlessly connect DSC security systems, including PowerSeries Neo, iotega and PowerSeries Pro, when combined with SecureNet or Alarm.com interactive services to the smart thermostat through the Z-Wave smart hub.